This statistic shows the revenues earned by the online retailer OTTO from 2002/03 to 2017/18. 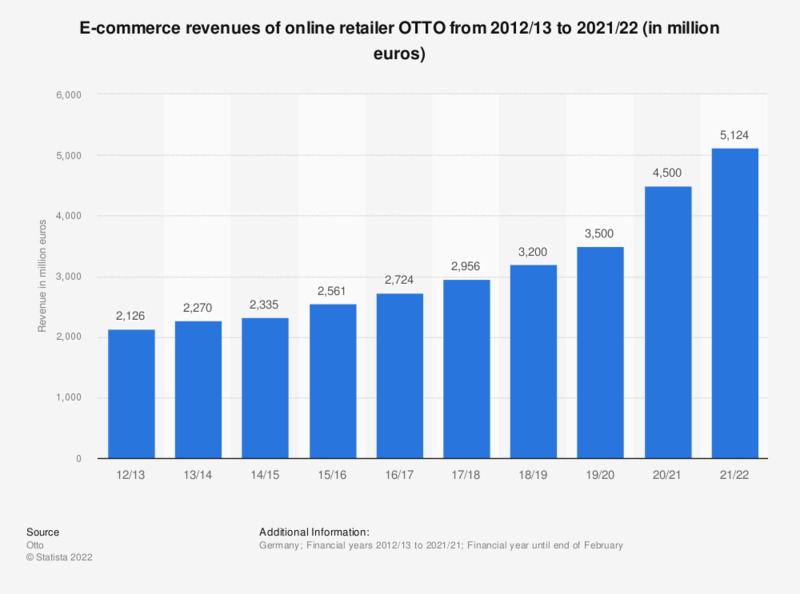 In the 2017/18 financial year, OTTO had generated revenues worth 2.96 billion euros in e-commerce. An increase compared to the previous year at 2.72 billion euros. Figures from previous years were partially taken from earlier publications of the source.